Coach Bear Grassl returns to Empire Volleyball Club for his 26th year as a coach, and Co-Director for the top club in the North Bay area. In his tenure with Empire, Bear has coached at all levels of the program. His 18 Mizuno teams have been perennial fixtures in the NCVA Gold Division since he began coaching at the 18’s level. Bear’s teams have finished in the top five in the region for nine years running. This year Coach Grassl returned for his 16th year as the head coach of the Sonoma State University volleyball program in 2017. The four-time CCAA Coach of the Year has registered an overall record 276-154 in 15 seasons at the helm of the SSU program, including an incredible 198-70 record in the last nine years. Last season in 2016, Sonoma State went 15-12 and finished second in the CCAA North Division standings with a 12-6 mark, but the Seawolves missed the NCAA tournament, ending an eight-year streak of appearing in the national postseason event. In 2015, the CCAA Coach of the Year guided the Seawolves to their second straight CCAA title, their first CCAA Tournament championship in the conference's inaugural postseason event, and an appearance in the NCAA Division II Volleyball Championship Tournament for the eighth straight season, compiling a program-best 26-4 record. In 2014, Grassl took the program to new heights, capturing the CCAA title for the first time in Sonoma State history and becoming the first team other than Cal State San Bernardino in nine seasons to win the CCAA banner. The Seawolves continued on to the NCAA West Regional in Nampa, Idaho as the No. 7 seed, and after upsetting No. 2 Alaska Anchorage and No. 6 Cal State San Bernardino in the first two rounds, they captured the regional championship after a 3-1 win over No. 8 seed Dixie State to advance to the NCAA Division II Championships in Louisville, Ky. Despite taking a 2-0 lead over Southwest Minnesota State in the national quarterfinal, Grassl and company saw their magical season come to an end after losing the next three sets in heartbreaking fashion. The Seawolves, however, placed two of their players on the All-America Team, including the 2014 CCAA Most Valuable Player, senior Kelsey Hull, and the 2013 CCAA Most Valuable Player, junior Caylie Seitz. Hull was also later named the 2014-15 CCAA Female Athlete of the Year despite missing the first six games of the 2014 season due to injury. She finished the year with the fourth-most kills per set (3.67) and points per set (4.38) in the conference while leading the CCAA in service aces with 40 (an average of 0.46 per set). Defensively, she recorded the third-most digs on the team with 289 (an average of 3.32 per set), to go along with 37 total blocks (0.43 blocks/set) and a .943 serve reception percentage. In 2013, Grassl led the Seawolves to their most-ever wins in a season, sporting a 26-6 record, including an 18-4 mark in CCAA matches. Sharing CCAA Co-Coach of the Year honors with longtime Cal State San Bernardino coach Kim Cherniss, Grassl guided Sonoma State to just its third NCAA postseason victory in the team's history with a 3-0 triumph over Western Washington in the first round of the 2013 NCAA tournament, but the Seawolves would see their record-breaking year come to an end with a 3-0 loss to Cherniss' Coyotes in the regional semifinal. Also in 2013, Grassl coached the program's first CCAA Most Valuable Player in sophomore outside hitter Caylie Seitz, who led all outside hitters in the west region with a .330 hitting percentage and ranked among the top five in the CCAA in kills (443) and points per set (4.3). She also ranked eighth among outside hitters in the nation in hitting percentage and 16th in the nation in kills per set. Her 443 kills also broke the SSU sophomore kills record of 401 that was set in 2009. Seitz, along with three of her teammates -- Kelsey Hull, Madelyn Densberger and Hayley Ross -- earned AVCA All-American recognition in 2013, the most in program history. The 2009 Seawolves got out to the best start in program history, winning their first 11 matches on their way to a 23-8 overall record and their highest national ranking ever. Led by a core group of local players and a roster that featured a pair of All-Americans, the Seawolves advanced to the NCAA Tournament for the second consecutive year, where they were upset by Cal State L.A.. The Seawolves then burst on to the scene in 2008 when they won 14 of their first 15 matches. As the season went on, Sonoma State stayed close in the CCAA title race but went 9-5 the rest of the season and finished tied for second in the conference (15-5). However, the Seawolves had a stellar home record, going 14-1 on the hardwood of the Seawolf Gym. Sonoma State also appeared in the NCAA Division II West Regional Tournament for the first time since 1993 but a first-round loss to conference-foe Chico State knocked the Seawolves out of national title contention. Grassl took the reigns in 2002 and led the Seawolves to a 15-14 record. He repeated the feat in 2003 (15-14) and then went 14-12 in ‘04. In 2005 and 2006, the Seawolves struggled in the win column playing in the tough California Collegiate Athletic Association with a young squad. In 15 seasons at Sonoma State, Grassl has coached 18 All-Americans and countless All-Conference and All-Region performers. In addition to his success on the court, Grassl's teams have also displayed exceptional effort in the classroom in recent years, earning numerous Academic All-District honors, among other prestigious scholastic awards. In 2011, one of his players (Keala Peterson) earned the nation's top scholastic honor -- the Capital One Academic All-America of the Year Award -- as well as the CCAA's Female Scholar Athlete of the Year honor. A 1991 graduate of Sonoma State, Grassl was head coach at El Molino High School from 1992-2001. During that span, he guided the Lions to six Sonoma County League championships, seven North Coast Section titles, five Northern California championships and one California state championship, in 1999. His career coaching mark at El Molino was an impressive 267-78. Daryl has coached volleyball for 25 years and at the collegiate level for 18 years. Currently he is on staff for his second year as an assistant coach at Sonoma State. In 2016 he was on staff at the University of San Francisco as an assistant coach. Prior to moving back home to the Bay Area in 2016 he was the Head Coach and Assistant Athletic Director at perennial power Division II Hawaii Pacific University located in Honolulu, Hawaii for ten years. Kapis' highlights include coaching two All-Americans at the middle and libero position, and also leading his team to set the defensive record per set for Division II with 20.33 digs per set. After three seasons of having teams under a .500 record the rebuild was over. Coach Kapis' teams never looked back and posted winning seasons in each of his remaining seven seasons at the helm. His top team in 2010 finished with an overall record of 18-6, and finished with a 12-4 conference record. Hawaii Pacific University's top wins were ironically against #12 in the country Sonoma State in 2015, and a 2013 win vs. #4 in the country BYU-Hawaii, who eventually lost in the National Championship Match. Coach Kapis also led the strength and conditioning program for his players and served as the head coach for the beach volleyball club team. Before he packed his bags and moved to Hawaii he was the Head Volleyball Coach at San Jose City College where he led his team to its first and only State Championship tournament appearance in 2005 where his team went 25-6 and finished 5th in the state. Daryl has also coached at the Division I level making stops at UCLA, San Jose State and the University of San Francisco. USA Volleyball recognized Daryl's potential back in 1999 and, since that time, Daryl has worked at all levels of the USA Youth and Junior National pipeline programs, including being an apprentice coach with the Youth National Team. Most recently has has been the Associate Head Coach for the A2 programs over the summer in Colorado Springs. Daryl has an impressive record of success in club volleyball as both an administrator and a coach. Daryl has locally worked with Vision, City Beach, Yahoo, and Golden Bear. In Hawaii Daryl was affiliated with Jammers Volleyball Club and with the Junior Jammers clinics for young aspiring players. In 2002 he took his 17's team to a 5th place finish in the Open Division of Junior Nationals. As a high school coach Daryl coached at Archbishop Mitty High School for three years and assisted in taking the team to the Division I State Championships, and two strong runs into the Northern California State playoffs. Daryl was the Head Varsity Volleyball Coach at his alma mater at Aptos High School taking them to a shared Santa Cruz Athletic League title, and a run into the CCS playoffs. Daryl is a certified power lifting Instructor with USA Weightlifting. Daryl was the Head Strength and Conditioning Coach at Archbishop Mitty High School for six years. Prior to Archbishop Mitty he interned at Stanford University where he assisted with the strength and conditioning of the Men's and Women's Volleyball programs. Daryl has also had two articles published in Performance Conditioning for Volleyball. Daryl earned his bachelor's degree from San Francisco State University and a master's from Saint Mary's of Moraga, in the Kinesiology field. He current teaches at the University of San Francisco, and has also taught at San Jose State, San Jose City College, Mission College, and Aptos High School. Daryl is the Director of the Empire Juniors Volleyball clinics which works on teaching volleyball fundamentals to boys and girls ages 7-12. Kathy has a long history with the sport of volleyball. Kathy started coaching a high school varsity team immediately after finishing her collegiate career. Kathy began coaching club volleyball with Empire soon after in 1992 and has since been involved in all aspects of running the club. She currently serves as club Co-Director. Kathy has been with the top Empire 16 and under team since 1997. She has led her teams to the NCVA Gold division every season of her tenure. On the national scene, Kathy’s teams have had multiple Championship bracket finishes at the Volleyball Festival National Championships and at the AAU National Championships. Her teams have earned Junior Olympic and Junior Nationals bids. She has trained numerous All-American and Fab 50’s athletes. 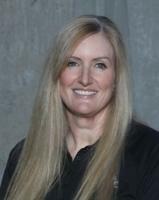 Kathy has coached with USA Volleyball in the High Performance Program since 2000. Her Junior National A1 2018 team earned a Silver medal at the 2018 High Performance Championships. She has been on the staff of several top collegiate camp programs and has worked with the Olympic Festival organization as well as the regional High Performance program. Kathy is CAP (Coaching Accreditation Program) certified through USA Volleyball. Kathy is a Professor at Santa Rosa Junior College in the Communication Studies Department. Bob has been on the staff of Empire for the past sixteen years – but his coaching career spans over forty years! In addition to volleyball, Bob has expertise coaching basketball and track. Bob serves as the Director of our non-profit foundation providing opportunities for fundraising activities for our athletes. Bob is also in charge of all of the Empire Wear and club uniforms. Bob has served as a camp coach for elite collegiate programs including Stanford University. He has been part of the USA staff at Junior National and Youth National team tryouts. Bob has Co-Coached the top Empire 16 and Under team with Kathy O’Neil since 1997 with great success. 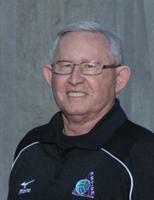 Prior to his retirement Bob was a career educator in the Sonoma Valley Unified District serving as Department Chair for Physical Education and as school Activities Director. Bob has been on the Varsity coaching staff at Sonoma Valley High School, Analy High School, and Maria Carillo High School. Coach Jeff Nielson joins the Empire Coaching staff for his tenth season. Coach Nielson came in the current Athletic Director and Head Volleyball Coach at Cardinal Newman High School. He has been coaching for nearly 30 years at the high school and at the collegiate level. He was previously the Head Coach at Maria Carrillo High School from 2001-2012. In his 11 seasons he led the Pumas to 11 North Bay League titles, 3 NCS Championships, and played in the Northern California Championships semi-finals on three occasions. in 2010. Jeff attended San Diego State University and Western Colorado University where he earned degrees in Kinesiology and History in 1996 and his professional teaching credential at Sonoma State University in 1997. Academically Coach Johnson is currently attending Santa Rosa Junior College where she is a 'libero' for the Bear Cubs. Violet has been with Empire Volleyball Club for 10 years as a player/coach and has a passion for volleyball and loves to share her knowledge of the game. Coach Jungerman joins the Empire Volleyball Coaching staff for her first season. A 2016 graduate of Cardinal Neumann High School, Coach Jungferman accolades included being named First Team All-League in both 2014 and 2015. Ingrid was named Cardinal Newman's female athlete of the fall semester in 2015 and her senior year she was nominated for the Press Democrat Athlete of the year. Coach Jungferman returned to her alma mater in the fall of 2016 where she was the Head Coach of the Freshman team. Currently Coach Jungferman is a member of the Santa Rosa Junior College program, under Coach Ally Deal. Academically she is pursuing a degree in becoming a radiologist tech assistant. Coach Pedersen joins the Empire Volleyball Coaching staff for her first season. Currently, Coach Pedersen is the Junior Varsity Coach at El Molino High School. Prior to taking on the Junior Varsity team, Coach Pedersen spent one year as the 12 and under coach at a YMCA in MD. Coach Pedersen played for Notre Dame of Maryland University as an DS and SS. Coach Pedersen is currently a Math/AVID teacher at El Moines High School. Leslie Grassl, an original Empire Volleyball Club athlete in 1989, returns to coach in 2019. As a three sport participant she was the Press Democrat female athlete of the year in 1990. Her four year career as a scholarship athlete at St. Mary's college ended with her holding the career kill record that stands to this day. After two seasons playing with VC Marl in Germany, she returned home to Coach Miramonte High school to the CIF State Championship game in 1993. Since 1996 she has been teaching math at El Molino High school in Forestville where she coached the volleyball team to the section championship game from 1996 to 2001. In 1997,1998,1999, 2001 she coached the team all the way to the CIF state championship. amongst the players she coached are many college athletes as well as several current college coaches. Coach Brown joins the Empire Volleyball Club-North, and will be leading the 16-Black North team for the 2019 club season. Coach Brown is currently in her second year as the Head Volleyball Coach at her alma mater Ukiah High School where she played for four years. In just her second year, her 2018 team won the league title. Prior to taking over the varsity program Coach Amanda spent one year as the JV coach, and two years as the freshman head coach. At the club level Amanda has coached for four years at the 18’s, 16’s, and 14’s division for the Mendo Lake Spikers. Coach Brown played for Mendocino College as an outside hitter, and then transferred to Cal State Monterey Bay, where she graduated in 2002. Coach Amanda attained a Multiple Subject Teaching Credential and is currently the 6th grade teacher at Pomolita Middle School. Amanda has a passion for the sport of volleyball that started in elementary school. She continues to share that passion with all young players she works with. Coach Olson starts his first year as the Head Coach of the Empire 14-North team. A graduate of San Diego State, Coach Olson graduated with a degree in Geography with an emphasis in Natural Resource Management. After finishing with his undergraduate degree Coach Olson went on to acquire his Multiple Subject Clear California Teaching credential. Mike recently completed coaching the Mendo Lake Spikers U-14 team. They played last season in Red Bluff, Redding, Woodland, Ukiah, Middletown, and Anderson Valley. The year before that, Mike coached the Mendo Lake Spikers U-12 team, which played mostly local tournaments in Ukiah and Anderson Valley. Mike is an Elementary teacher at Yokayo Elementary in Ukiah. He has taught 4th or 5th grade for the last 15 years. Mike is also a teacher/mentor for new teachers entering in the profession. He supports new teachers through the North Coast Teacher Induction Program and has held this position for 10 years. Mike played beach volleyball in high school and in college at San Diego State at an intramural level of play. Mike’s philosophy of coaching volleyball is to inspire athletes to develop a love of the game. This involves lots of positive encouragement, and developing a trusting relationship where players know that the coach has their best interest in mind. Mike strives to encourage his players to always have a growth mindset, where they know there is always room for improvement. Mike enjoys keeping practice fun, but physically and mentally challenging for his players. Good sportsmanship, and the joy of the game take precedent over winning. Ally (Sather) Deal is an Empire alumnus out of Maria Carillo High School. Coach Deal is currently in her first season as the Head Volleyball Coach at Santa Rosa Junior College. Coach Deal earned numerous honors during her prep career, culminating with the Empire MVP award her senior year. Ally chose to stay close to home for her collegiate career, competing at Sonoma State University as an outside hitter. Ally was a four-time All CCAA performer and a two-time All Region honoree. Ally broke the career kill record at SSU, which had stood for fourteen years prior to Ally’s arrival on the scene. Ally was selected to the AVCA All American Team during her senior year. Ally has been coaching with Empire for the past ten years in the under 13, 14, 15 and 16 programs. In 2013 Ally returned to her alma mater, Maria Carillo High School, to take over as the Head Coach of the outstanding Puma Varsity program. Coach Payton Jones joins Empire Volleyball Club for her first season, under the tutelage of Ally Deal on the 15-Adidas team. A long time Empire Volleyball Club member Payton is in her second year of coaching club volleyball. A 2017 graduate from Maria Carrillo High School where I played three years under Ally Deal, Coach Jones was a first team All-League libero her Junior (2015) and Senior (2016) year. Coach Kelsey McIntire is returning for her third year coaching at Empire Volleyball Club. She is on her first year coaching high school volleyball for both JV and Varsity at St. Vincent de Paul and just completed an undefeated season in League play. Kelsey McIntire grew up in Manhattan Beach, CA and started playing club volleyball when she was 10 years old. She recently graduated from Sonoma State University with a degree in Early Childhood Studies where she played for Coach Bear Grassl for 5 years. She was a starting middle blocker for 3 years and was awarded with All-Conference, All-West Region, and All-American honors in her final season. Coach Wallace joins the Empire Volleyball Coaching program for her second season as she will be leading up the 13-Gold team in 2019. Samantha Wallace currently is a senior at Sonoma State University. She has a long history with volleyball, and is currently playing on the SSU Club Volleyball team. In 2018 her team won the National Championship in St. Louis, Missouri with Coach Wallace receiving Honorable Mention honors. Samantha played all four years as a setter for Tehachapi High School. Samantha players her freshman year on JV and the other three years on Varsity. She received 1st team honors both her Junior and Senior year, and her coaches gave her Most Valuable Offensive Player on the team. She played competitively for Bakersfield Volleyball Club through high school. After high school, she attended Cal State Monterey Bay for her Freshman year, then moved back to Tehachapi. She attended Bakersfield College for two years and earned her Associate’s Degree in Kinesiology and was on the Dean’s List. She began her coaching career at Bakersfield Volleyball Club, coaching the 14s level for two years before moving to Rohnert Park. She coached for Empire Volleyball Club last year at the 14s level, and is excited to be coaching the 13s team this year. Coach Ryan Hughes returns to Empire for his eighth season, to once again coach the 14-Black team for the third straight year. Currently Ryan just finished his fourth season as Head Coach at Petaluma High School, and is the assistant coach for the Petlauma Junior High Programs. In his four years at Petlauma High School his programs finished 2nd in the SCL each of those years. Petaluma High School went to NCS playoffs each of those years. Coach Hughes also started the Sonoma Academy High School program in 2006. Ryan Hughes graduated from Sonoma State in 2009, where he acquired three Bachelor's degrees. Currently he is working on his nursing license, while concurrently working at Santa Rosa Memorial Hospital in the Intensive Care Unit. Coach Hughes played for the men's program at Sonoma State University. In his time he was awarded the libero of the year in league play in 2006, and was a Nationally recognized libero for Division II club programs. Coach Hughes restarted the men's program at Sonoma State after a 12 year hiatus, which eventually won the Men's National Club Championship in 2009. Currently Hughes is also an assistant coach for the Santa Rosa Junior College program which made the Junior College playoffs in 2017. Coach Tommy Wong-Araki joins the Empire Coaching Staff for his first season. Coach Tommy is currently the Junior Varsity Coach at Cardinal Newman High School. Tommy began playing volleyball as a seventh grader at W.T. Eich Middle School, where his love for the game originated. Coach Tommy went on to become an All-League Setter/Libero in high school at Oakmont High School in Roseville, Ca. There, Coach Tommy led his team to two straight league titles (both undefeated league seasons). Tommy played his high school club for NCVC. Coach Tommy went on to play three years on the Sonoma State Men’s Volleyball team where he was on two silver medal teams. Academically, Coach Tommy is finishing up an online degree in Economics. Coach Tommy looks forward to growing the game in the region! This is Sabrina Stephens first year coaching for Empire Volleyball Club. Coach Stephens played for Empire while also played for four years at Analy High school. While at Analy High School she was an All-League Libero for the Tigers. She has been an assistant coach for Hillcrest middle school for 2 years. Currently Sabrina is playing at the Santa Rosa Junior College under coach Ally Deal. Sabrina is a second degree black belt in Taekwondo. Coach Stephens has practiced the martial art for fourteen years, and has taught for nine years. Alicia Lozano enters her first year as an Empire Volleyball Club Coach. Coach Alicia is the Head Coach of the 7th and 8th grade teams at Windsor Middle School West County League for the past 3 years. She has a multiple sport background, which includes volleyball, and softball. Upon completion of High School, Alicia played softball at the Santa Rosa Junior College for 2 years as a 1st baseman and 3rd baseman. As a young adult Alicia spent many years as a fitness competitor and fitness model, along with being a trainer for several years. Alicia has been on the staff of Empire for the past four years as the Carnival Coordinator, and one of the Assistants for Empire’s social media. Alicia enjoys helping the Empire program with whatever they need help with, as you will often see her helping with registration, and on the court if needed. She also has been known to take on the team mom roll for her daughter’s teams, and is an overall enthusiastic volleyball fan. Currently, Alicia is a Special Education teacher for severe disabilities and Athletic Director for Windsor High school. Alicia has many degrees beginning with her B.A. from UCSB, Special Education Credential, General Education Credential, Autism Credential, and Masters in Special Education, and a Masters in Administration from Concordia Irvine. Alicia has also worked as the Accelerated English and Migrant Ed. Summer school Principal for two years. Coach Destiny Clark will be starting her first year coaching at Empire Volleyball Club as a 13-3 assistant coach. Destiny is a current senior at Windsor High School, and has just completed her final year of High School Volleyball. Destiny was a four year returner on Varsity, where she was Captain for her last two years. During the four years, Destiny has achieved team MVP, First-team All-League, won an NCS title, and went to State. For Club, this will be Destiny’s fourth year at Empire Volleyball Club (16-1s, 16-1s, 17-1s, and 18-1s) to complete a full Club career of 6 years. Destiny has assisted Coach Bear and Coach Daryl Kapis at Windsor Middle School for 3 years for North Valley League. She has also been an Empire Spring League coach for 3 years. In addition to assistant coaching, Destiny has been a ref for West County middle school league for 3 years. After graduation, Destiny will be moving to New York, to go to College and extend her Volleyball career to the collegiate level. She will be studying Pre-Med to begin her journey of becoming a Trauma Surgeon. Coach Kuehne joins the Empire North staff for her first year as the 14-1 coach. A former Mendocino College player as a middle blocker Mahala played for the Eagles for two seasons. Coach Mahala then transfered to Sonoma State University, where she finished with a degree in Biology. After graduation Coach Kuehne moved to Germany, where she went to language school, and played a season as a middle blocker for team VSG Ubstadt-Forst. After moving back to the United States, she began her career as a middle school science teacher and volleyball coach at Pomolita Middle School. 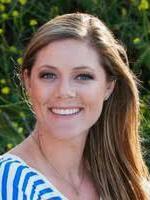 Coach Kierstin Andrews originally from Rohnert Park, California returns for her fifth year of coaching at Empire Volleyball Club and first year in 13s, with three previous years in 14's and one in 17's. Coach Andrews is also one of the primary coaches for the Empire Juniors programs that are run all throughout the North Bay. Coach Andrews played for Empire Volleyball Club for five years and played on each of the 13's-17's teams. Kierstin excelled on the court and in the classroom at Rincon Valley Christian where she was All-league honorable mention as a Freshman, and first team All-league for Sophomore, Junior and Senior seasons. Currently Coach Andrews is working on her undergraduate degree at Sonoma State University and is majoring in Kinesiology and minoring in Early Childhood Studies. Kierstin has earned Dean's Highest Honors for her first two semesters. Locally Kierstin has assisted with elementary, middle, and high school programs, while also being very instrumental in our own Empire Spring Season programs for the past six years. Once Coach Andrews graduates from college she plans to go to acquire her Doctorate of Physical Therapy, ,and to become a pediatric physical therapist. Coach Andrews joins Empire Volleyball Club for her first year as an Assistant Coach for the 13-Black team. At the coaching level Coach Andrews is the JV Head Coach at Maria Carrillo, and has been involved in the Empire Volleyball Club Spring Season since 2015. A seven year veteran of Empire Volleyball Club, Annika was a four year high school varsity player for Rincon Valley Christian. In her time playing for the Eagles she was North Central League All-League in both her Junior and Senior year, while also being an Honorable mention All-League for her Sophomore and Freshman year. In high school Coach Andrews was Co-Captain for both her Junior and Senior years, while leading her team to two second place titles. Annika currently attends Santa Rosa Junior College, where she is on the Dean’s list for two years in a row. Academically Annika is working on obtaining her A.S. degree in Nutrition and Dietetics, while also pursuing her A.A. in Spanish. Coach Hannah Andrews joins the Empire Volleyball Coaching staff for her first season in leading up the 14-Gold team. Coach Andrews had a stellar collegiate career where she played and started for four years at Division II Concordia University of Irvine. Hannah was coached by former Olympian, and National Team assistant coach Paula Weishoff. A powerful outside and right-side hitter, Andrews was successful both on the court and in the classroom. Andrews was named to the Academic All-PacWest Team in 2015 and 2016, along with being an All-PacWest Honorable mention in 2015. As a team in 2016 Concordia of Irvine won their first PacWest Championship. Andrews also played on the Beach Volleyball team during the 2015 and 2016 seasons. Academically Andrews graduated with a Bachelor of Arts in Psychology in 2017. Andrews earned Dean’s List recognition, for outstanding performance in the 2016-2017 academic year. Locally Andrews played for four years at Rincon Valley Christian School where she graduated in 2013. As a prep athlete Andrews was League MVP in 2012, and 2013, and was a First-Team member in 2011, and Honorable Mention in 2010. Andrews was named the Player of the Year in 2013 for the All-Empire Small School Division, and was named the Female Athlete of the year for Rincon Valley Christian School. At the club level Hannah played for Empire Volleyball club from 2009-2013 and on the 14's-18's teams. Hannah has also been the lead assistant with Director Daryl Kapis for the Empire Juniors program which helps coach young aspiring volleyball players ages 7-12. Chris grew up in Sonoma County and attended Analy High School. She played four years of volleyball at Analy. After graduating from Analy, Chris attended Santa Rosa Junior College where she played for the Bear Cubs on the SRJC women’s team. Chris transferred to Chico State University to finish her education. She is currently and has been for the past 22 years, a Physical Education teacher. Twenty of those years have been at Rincon Valley Middle School, where she teaches 7th grade PE. Chris began coaching at Analy. She has been a very successful coach at RVMS for the past 20 years. She has continued her success at the high school level, coaching at Maria Carrillo for four years. She is currently in her seventh year coaching at Empire. Chris has been married for 25 years and has two children. Daughter Mikaela played for Empire and played at Butte College. Kaitlin Manning enters her first year with Empire Volleyball Club as the Empire 12-North Head Coach. A current team manager for the Ukiah High School Volleyball program, Coach Manning played for Ukiah High School for three years where she received the Coaches Award two seasons in a row, along with earning the Scholar Athlete award three years in a row. A versatile athlete for the Wildcats she plays the rightside, setter, and defensive specialist positions. A former Mendo Lake Spikers player, she helped coach Spiker camps for the 5th-8th graders. Academically Coach Manning is on track for receiving her CTE (Career Technical Education) certification stamp on her final transcripts upon graduation. Coach Mills joins the Empire Volleyball Club-North staff as the 12's assistant coach. Coach Mills, a current senior and Scholar Athlete for Ukiah High School under Head Coach Amanda Brown. A two year captain in high school Ashley has played volleyball for six years, and nine different seasons and teams. Ashley is no stranger to the coaching scene as she has been a mainstay regular for all of the Empire Juniors Volleyball programs in the area starting in the Fall of 2017 under Director Daryl Kapis. At the club level Ashley played for the Mendo Lake Spikers 14's, 16's, and 18's team, and in 2016 her team won first place in Reno tournament. Her passion for the game has helped grow the game of volleyball in the Ukiah area. Coach Emma Schueller starts her first year with Empire Volleyball Club-North. Coach.Schueller is a current senior and Scholar Athlete for Ukiah High School where she played as both left side hitter and outside hitter. Emma was captain of her Freshman team and then was named MVP of the JV team her sophomore year. She just finished her 2nd year on the varsity team under Head Coach Amanda Brown where her team was league champions of the NBL Redwood League. At the club level Emma started in the 5th grade, playing her 5th-7th grade years on the Ukiah Rage 14U team. She then played for Empire Volleyball club from 2014-2016 on the 14-1’s, 15-1’s and 16-2’s teams. Last season Emma playing on the Mendo Lake Spikers 18’s team. After graduation next June, Emma would like to continue her volleyball career and play at a Junior College, where she wants to begin studying to become a history teacher, and continue to coach volleyball. Coach Binder returns to Empire Volleyball Club and will be leading up the first (11's) team for Empire Volleyball Club during the 2019 season. Coach Binder is the current Varsity Assistant Coach and Social Studies teacher at Cardinal Newman High School. Before she brought her talents to Cardinal Newmann she was previously the Head Varsity volleyball coach at El Molino High School for four years. During that time she took them to both the NCS and NorCal tournaments, as well as earning them several SCL League Titles. Elsa grew up in Santa Cruz, Ca. She played at Harbor High School where her team won the 1992 Division II High School Volleyball Championships. She earned 1st Team All America honors in both High School and Club in the 1995-96 school year. Her 1996 Team Mizuno Club Team won the Jr. National Championship in Orlando, Florida. While earning a full scholarship at The University of the Pacific, Elsa earned 1st Team Division I All America honors for the 1998 and 1999 seasons. The 1999 team was a Semi Finalist in the Division I Final Four in Honolulu, Hawaii. During her High School and Collegiate careers, Elsa played for USA Volleyball, completing many training camps and tours, including World University Games, Junior NORCECAS, and Olympic Fest. Elsa ended her athletic career playing professional volleyball in the US and abroad, as well as a season on the Beach tour. Elsa lives in Windsor with her husband, Todd, and their children Dakota and Summer.